Health care facilities across the country are under pressure to address rising costs and improve the efficiency of their departments. As federal reimbursements shrink and federally mandated technology investments such as the electronic health record eat up budgets, providers need to be wary of any further interruptions to cash flow. 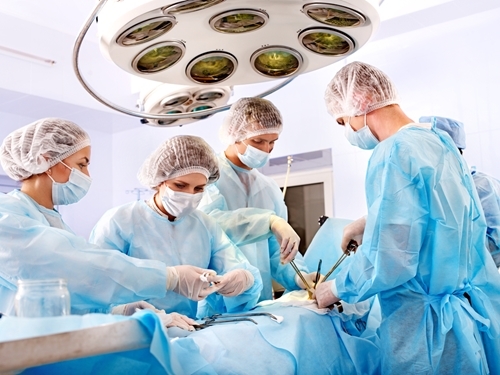 One of the most financially demanding departments in hospitals is surgical services. Many common procedures can require thousands of dollars of one-time-use equipment, as well as anesthesia and facility costs. To address rising costs in this crucial area, the journal Annals of Surgery published a study that found hospital costs and risk of death for emergency surgery and compared it to the same operation when performed in a planned, elective manner for three types of procedures. Researchers found that emergency surgery was consistently more expensive than a planned procedure. For example, emergency surgery was 30 percent more expensive for abdominal aortic aneurysm repair, and 53 percent more expensive for colon resection. "As we, collectively in the healthcare industry, work to systematically address the rising cost of healthcare, reducing emergency surgeries for common procedures provides a significant opportunity that must be seriously and thoughtfully considered," Dr. Adil Haider, director of the Center for Surgery and Public Health at Brigham and Women's Hospital (BWH) and lead author of the paper wrote in his conclusion. "Strategically aligning primary care, screening programs and other interventions could be an impactful way to both improve outcomes and reduce costs." While some need for emergency surgeries will always remain, increased focus on preventative care could reduce the number of annual cases. Unfortunately, the rising popularity of employer-sponsored insurance plans means many patients are hesitant to seek care, and ultimately prolong treatment until absolutely necessary. in many of these cases, the patient is not able to make reimbursements for care provided. To avoid this affecting the quality of care that your health care facility or organization provides, consider making the decision to pursue accounts receivable outsourcing. This can drastically reduce the number of dollars written off to bad debt.